Identical twin brothers Clint and Jared Sutter grew up going to Lake Pleasant. Growing up in Peoria, it was a place they came to fish and play in the water. As they got older, the brothers stayed tight, venturing into floral and auto glass businesses together before returning to the water. Now, Capt. Clint runs Go Sail Arizona and Capt. Jared runs Go Paddle Arizona. 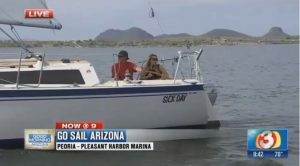 The side-by-side businesses on the Lake Pleasant Harbor met the Sutters’ love of the lake and savvy business sense. Captain Clint’s primary goal is to introduce sailing with a new image. promoting affordability, safety, practicality, and continued education in both Arizona and Southern California. 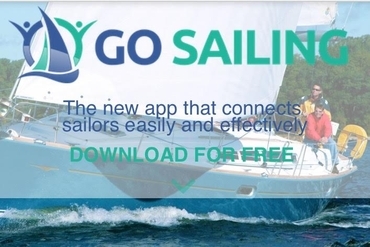 Go Sail Arizona is one of the many American Sailing Association (“ASA”) affiliate schools located around the world, teaching people how to sail. The ASA is the preeminent sailing instruction organization in the world. ASA certificate holders can charter boats throughout the world with their certifications. Through its sailing program, the ASA will help you learn to sail safely and confidently. ASA-certified Students can go from basic lessons to advanced sailing courses, earning certifications that are recognized around the world. Go Sail Arizona teaches Basic Keel Boat 101, Basic Coastal Cruising 103, Bareboat Cruising 104 and Coastal Navigation 105. 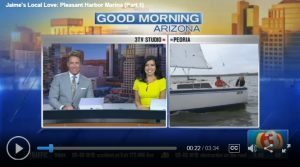 People who travel to Phoenix are surprised that they came to Phoenix to go sailing for the first time. Their excursion is filled with the amazing sunsets that Arizona offers, along with plenty of wildlife, beautiful, clean water, and all within the convenience of less than an hour in travel time from nearly anywhere in Phoenix. Arizona and bringing you one step closer to accomplishing your dream of learning how to sail. GoSail Arizona also hosts many events throughout the year to include flotillas over to Catalina Island. Go Paddle AZ offers paddle boards, kayaks, and even paddleboard yoga.